Welcome to the Friends of High Point State Park blog! We greatly appreciate your support. Please consider becoming a member, sponsor, or dedicated volunteer. Thank you for visiting. Thank you for visiting the Friends of High Point State Park blog. This site is being phased out because we have a NEW WEBSITE! We now have a new website to better serve our members and community. You may now join the Friends of HPSP, renew your membership, and make donations online. You are now able to contact us by sending a message directly from our website. Best of all, the website has an interactive calendar allowing you to add our events to your calendar and share with your friends. Please visit our new website to learn more about the Friends of High Point State Park! We hope to see you on the mountain in 2018! Please note, we will be phasing out this blog at the end of 2017. We have a NEW WEBSITE! Details may be found at the end of this post. If you can't wait, you may also visit www.friendsofhighpointstatepark.org. this autumn for one of our many wonderful programs! Come enjoy the view while relaxing your mind and body. All levels of experience are welcome. Please bring your own yoga mat and water. Walk-ins are welcome. However, registration is suggested so that we may contact you in the event a class is cancelled. To register, please call Lynn at 973-702-0488. A minimum donation of $5.00 per class is recommended. Yoga on the Mountain is sponsored by the Friends of High Point State Park. All proceeds go to support Yoga on the Mountain and other Friends of High Point State Park programs. 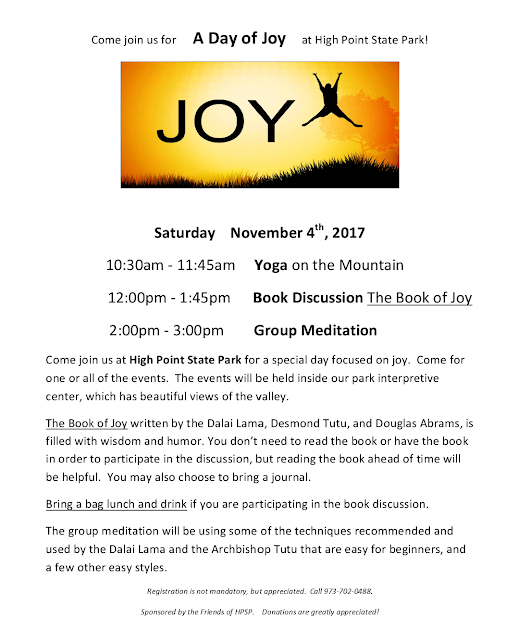 Come join us for a Day of Joy at High Point State Park! 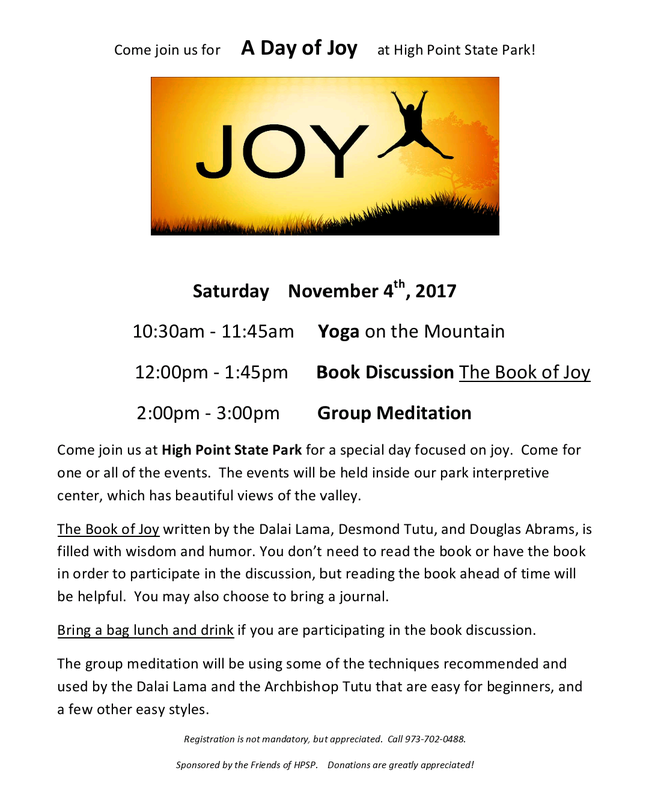 After our final Yoga on the Mountain of the season, we will be discussing The Book of Joy and offering a group meditation. 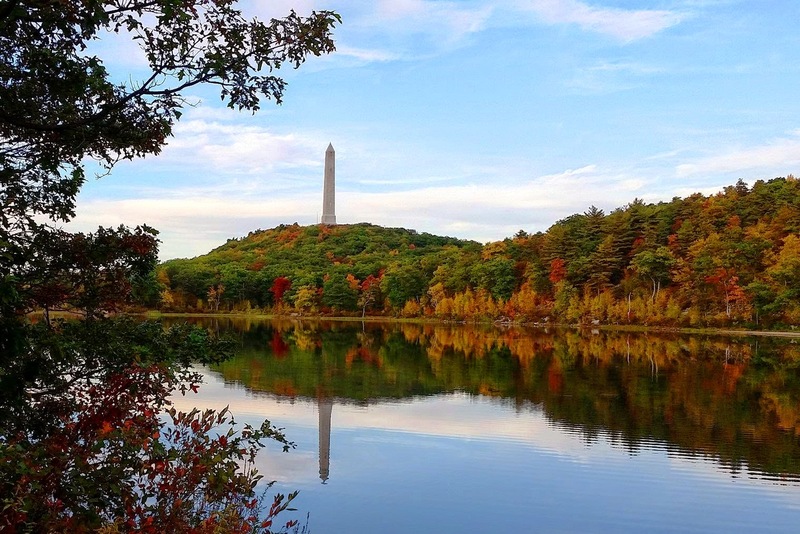 Come enjoy the beauty of autumn at High Point State Park! Bring your own bicycle for a lovely ride to view emerging fall foliage. Our route will take us on an 8-mile loop along Sawmill and Park Ridge roads. We will make a few shorts stops along the way to view points of interest and to enjoy a picnic lunch. The bike ride is suitable for ages 14 – adult. Helmets are required. Please bring your own bicycle, helmet, bag lunch, and water. Meet at the winter-use parking lot on Park Ridge Road. Please email Rob at rthawk@ptd.net for more info & to register. The Friends of High Point State Park invite you to join Volunteer April Oleksy to hike & explore the trails of High Point State Park. Please make sure you bring water to stay hydrated while hiking. Feel free to pack a picnic lunch to enjoy after the hike at one of the picnic areas. Hikes are weather permitting and can be cancelled due to extreme weather. For meeting place and questions please call the park office @ 973-875-4800. *Please meet at the Interpretive Center parking lot. Parking for the Monument Trail is in the gravel lot you enter before going up the road to the Interpretive Center. Please note that parking at the Interpretive Center is limited. Thank you. The walk around Sawmill Lake is easy, however the climb up the ridge on the Blue Dot Trail is strenuous. Sturdy shoes or boots are highly recommended for the rock scramble of the Blue Dot Trail. The hike will be approximately 3 miles long and will take about two hours. Please bring water. Feel free to pack a picnic lunch and join April after the hike at one of the picnic areas. Hikes are weather permitting and can be cancelled due to extreme weather. For meeting place and questions please call the park office @ 973-875-4800. *Please meet at the Sawmill Lake Boat Launch area. 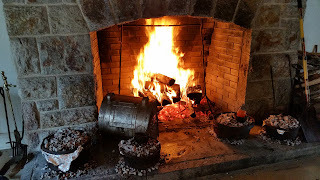 Join the Friends of High Point State Park for a demonstration of open hearth cooking on the Interpretive Center fireplace. Autumn is the season of bountiful harvests and the air will be filled with the aromas of pumpkin and apple. 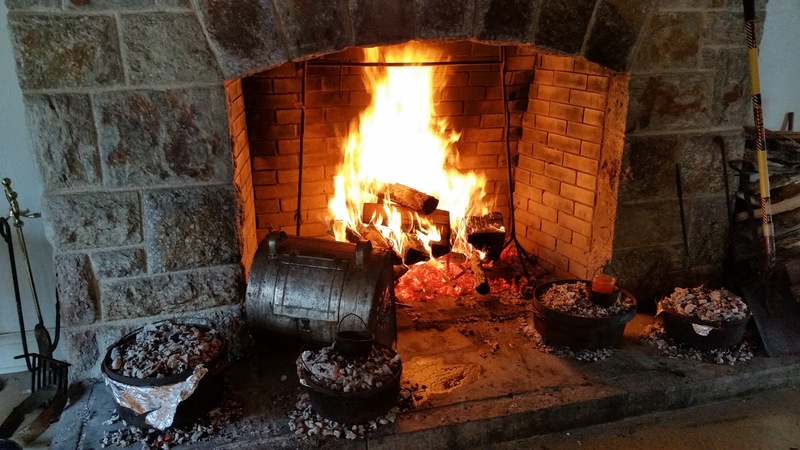 Enjoy a sample tasting of delectable soups, meats, and desserts all cooked fireside. Please visit our new website today! Join the Friends of High Point State Park on the beach at Lake Marcia as we say goodbye to summer with a fun-filled day of fishing and boating. This special event is the one day of the year that boats are allowed on Lake Marcia. Participants may borrow one of the Friends’ kayaks or canoes for a short paddle or bring their own non-motorized boat and spend the day exploring. Afternoon activities include boat races, fishing & sandcastle contests, Park Naturalist Program, and crafts. An early evening campfire on the beach with s’mores will conclude the festivities. All persons fishing, age sixteen or older, must have and display a valid NJ State fishing license. Please bring your own fishing equipment. All boaters must wear a PFD while on the lake. Participants who plan to bring their own non-motorized boat, remember your PFDs, and stop by the beach for instructions before putting your boat in the water. Please note that all boats must be rinsed off before going in the lake to prevent the spread of invasive species! Pack a picnic and bring the whole family for a day of adventure at High Point State Park. Concessions may be available. The event is FREE, but suggested donations of $5 per family are appreciated. Rain date is Sunday, September 10, 2017. In the event of rain, the concert will be moved into the HPSP Interpretive Center. Please bring your own chairs. Additionally, please bring your own non-alcoholic beverages and snacks if desired. 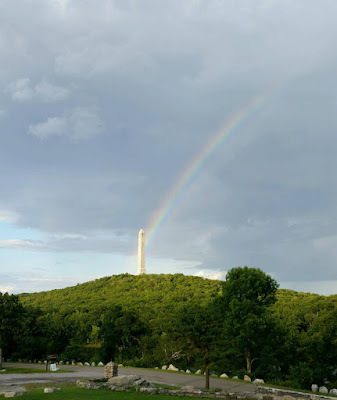 The Friends of High Point State Park invite you to join them this summer for three magical evenings of music in the park. Bring your family and friends up the mountain for a day of fun, then stay for a fabulous concert on the beach at Lake Marcia. Spread a blanket out on the grass and enjoy a picnic supper. Dance barefooted in the sand. Summer nights were made for music under the setting sun! Please be aware that the maximum capacity for the Interpretive Center is 146 people. Unfortunately, if we reach maximum capacity we will not be able to accommodate all concertgoers who wish to attend and may be required to turn some folks away. We appreciate your understanding and cooperation in maintaining a safe and enjoyable concert experience. As a reminder, please bring your own chairs to the concert as we have very limited seating available at the Interpretive Center. Please park in the beach parking lot or gravel parking lot near the Interpretive Center and walk to the concert venue. Drop offs near the building will be allowed. Parking at the Interpretive Center is very limited and reserved for the handicap and those with a true need to park near the building due to limitations. Please do not block driveways or roadways with your vehicles. A friendly reminder, alcohol is not allowed in the park and there are no concessions at the Interpretive Center. Please bring your own non-alcoholic drinks and snacks. Thank you and we hope to see you on the mountain! Admission to the summer concert series at High Point State Park is FREE, but donations of $5 or more per adult are greatly appreciated. Children are admitted free. Please stop by the Friends of HPSP table to make your donation and purchase souvenirs. In the event of rain, concerts will take place in the High Point State Park Interpretive Center. Family and friends - everyone is welcome to attend. Pets are not allowed in the Interpretive Center. Service animals are permitted. Clean up after your pet - Thank You! High Point State Park merchandise is available for purchase at all of our concerts and events. Please stop by the Friends of HPSP merchandise table to make your purchase or donations. Cash and checks accepted, sorry no credit cards. You may also stop by the High Point State Park Office and purchase merchandise if you can't wait to show off your High Point Pride! Come enjoy the view while relaxing your mind and body. All levels of experience are welcome. Please bring your own yoga mat. Walk-ins are welcome. However, registration is suggested so that we may contact you in the event a class is cancelled. To register, please call 973-702-0488. A minimum donation of $5.00 per class is recommended. Yoga on the Mountain is sponsored by the Friends of High Point State Park. All proceeds go to support Yoga on the Mountain and other Friends of High Point State Park programs. Visit our Yoga on the Mountain page for more details and 2017 schedule. Classes will take place once a month April through November. 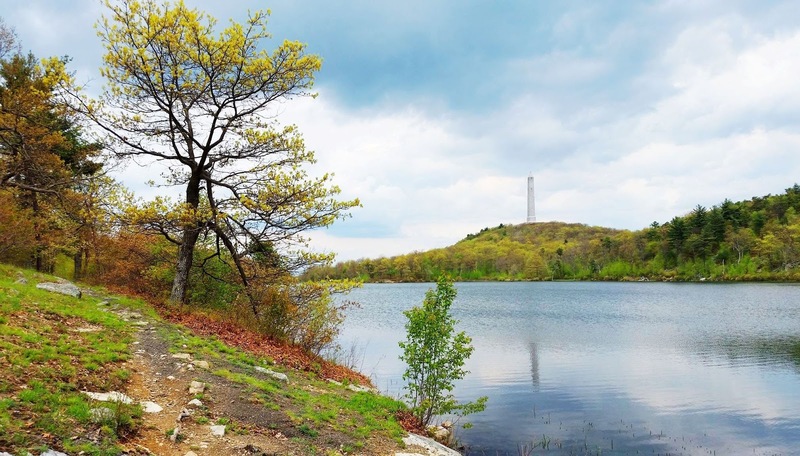 The Friends of High Point State Park invites you to join Volunteer April Oleksy to hike & explore the trail around Lake Marcia. Please make sure you bring water to stay hydrated while hiking. Feel free to pack a picnic lunch to enjoy after the hike at one of the picnic areas. Hikes are weather permitting and can be cancelled due to extreme weather. For meeting place and questions please call the park office @ 973-875-4800. Please note that parking fees may apply. See our 2017 schedule of events page for additional Monday Mover autumn hikes. We encourage everyone to venture out and enjoy High Point State Park this spring. Come on up the mountain and explore the top of New Jersey! On the evening of March 25, the Friends of High Point State Park are again participating in Earth Hour. The lights on the Monument will be turned off for the ENTIRE NIGHT in honor of Earth Hour. Earth Hour started in 2007 in Sydney, Australia when 2.2 million individuals and more than 2,000 businesses turned their lights off for one hour. It has been growing ever since. On March 27, 2010, Earth Hour set a record when 128 countries and 4,500 cities joined the global display of climate action. Iconic buildings and landmarks from all over the world such as the Golden Gate Bridge, the Eiffel Tower, and Buckingham Palace switched off. People across the world, from all walks of life, turned off their lights and came together in celebration of the one thing we all have in common – our planet. 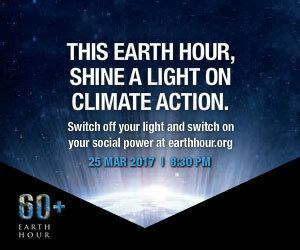 Participation in Earth Hour has grown to include more than 162 countries and territories. Earth Hour 2017 will take place on Saturday, March 25, from 8:30 to 9:30 pm (local time). This Earth Hour, we challenge you to go beyond the hour. After you flip the switch and the lights back on, think about what else you can do to make a difference. Together our actions add up. Go to www.earthhour.org for more information on how to participate in this year’s event. Come join us for a uniquely exciting yoga class infused through out the class with meditations and reflections on Earth Day. Norma Brand will lead the yoga. Lynn Panico will guide the meditations. Beginners are welcome. Recommended for ages 16 and older. We will begin and end the class with a short drum circle; so bring your drums if you have one. (A few extra drums and yoga mats are available.) A $5.00 donation is appreciated. Questions call Lynn 973-702-0488. Sponsored by the Friends of High Point State Park. Families with children ages 2-10, and their favorite teddy bears, are invited to High Point State Park for a spring picnic where they will explore the natural history of the North American Black Bear. Activities will include a bear discovery station, crafts, family story corner, and more. High Point State Park's resident BIG teddy bear will be sitting for portraits - bring your camera! PLEASE NOTE: Due to rain forecasted for the weekend, our organized lake clean up has been cancelled. We encourage visitors to help keep High Point beautiful - please pick up your trash and take it home with you. Thank you! Help keep High Point State Park beautiful! Join us as we clean up trash along the shores and in the waters of Lake Marcia, Steenykill, and Sawmill. Meet at the HPSP Office Parking Lot. Participants should bring their own waterproof footwear, hip-waiters, and work gloves if they have them. Please be aware that participants may get wet and dirty, so keep that in mind and wear appropriate clothing and footwear. There will be no swimming. Individuals, families with older children, and groups are welcome to participate in the lake clean up event. Please call 973-702-0488 if you would like more information or have questions about the event. Come enjoy the beauty of spring at High Point State Park! Bring your own bicycle for a lovely ride to view emerging spring foliage and flowers. Our route will take us on an 8-mile loop along Sawmill and Park Ridge roads. A few shorts stops will be made along the way to view points of interest and to enjoy a picnic lunch. The bike ride is suitable for ages 14 – adult. Helmets are required for all bicycle riders. Please bring your own bicycle, helmet, bag lunch and water. The group will meet at the winter-use parking lot located on Park Ridge Road. No rain date is scheduled, but visitors are welcome to explore on their own. Park maps and suggested routes for bicycling are available in the park office. Please email Rob at rthawk@ptd.net for more info & to register. The Friends of High Point State Park invites you to join Volunteer April Oleksy to hike & explore The Cedar Swamp & Monument Trail. Drive through the High Point State Park entrance then drive to the end of the road in the Cedar Swamp Picnic Area and that is the trail head parking lot. The trail begins at the yellow gate. The Cedar Swamp Trail follows a closed road into the Atlantic white cedar bog area in the Kuser Natural Area, then forks and circles around the perimeter of the bog. 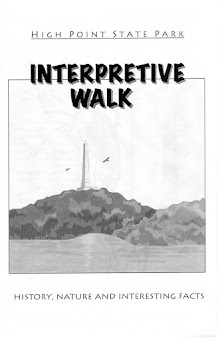 After walking over the boardwalk we will be taking a left into a section of the Monument trail. This part of the trail offers some of the best views in the park extending along the top of the mountain ridges almost to the New York border. Constructed by the Civilian Conservation Corps in the late 1930's, sets of stone stairs and borders display their workmanship. The Cedar Swamp Trail is a 2 mile easy loop that is mostly flat, paved, gravel & boardwalk. We will be doing half of the loop then we will be taking the Monument Trail, which is a moderate to difficult rocky trail with steep climbs. After reaching the top, we will loop around coming back to the parking area. Our hike will be approximately 4 miles and usually takes between 1 1/2 - 2 hours to complete. Please make sure you bring water to stay hydrated while hiking. Feel free to pack a picnic lunch and join April after the hike at one of the picnic areas. Hikes are weather permitting and can be cancelled due to extreme weather. If you have any questions please call the park office @ 973-875-4800. Visit our 2017 Schedule of Events page for summer and fall programs. See you on the mountain! Click here to get directions to High Point State Park from Google Maps. Park Address: 1480 State Route 23, Sussex, NJ 07461. Park GPS Coordinates: DMS 41° 18’ 23.04” N 74° 40' 14.78 " W.
Check the weather! Remember, it is usually cooler on the mountain than in surrounding communities. Plan ahead and be prepared for changes in weather conditions. Visit the Weather Channel by right-clicking on the graphic below. Once on their main page, you may check weather conditions at High Point State Park by entering "High Point State Park, NJ, United States" into the search window. 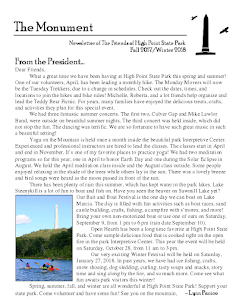 All contents, including text and photos are property of the Friends of High Point State Park. Picture Window theme. Theme images by konradlew. Powered by Blogger.